RockSolid Polycuramine Clear Top Coat is a clear high gloss protective coating that is formulated to offer unsurpassed durability. It is 20 times more durable than epoxy, ensuring that it wont crack or peel and providing resistance to salt, oil, gas and other harsh chemicals. What exactly is Cabinet Transformations<sup></sup>? Quite simply, its an innovative coating system that completely changes the look of old, worn cabinets into the look of beautiful hand-crafted cabinetry, at a fraction of the cost of installing new without the downtime or mess associated with cabinet replacement or refacing. Say goodbye to the thought of a messy demolition, over budget contractors and weeks of disarray in your home. Plus, there's no stripping, no sanding and no priming required, so its super easy to do! Rust-Oleum Leak Seal is an easy to use flexible rubber sealant that dries to a semi-smooth, firm finish that will not sag or drip, and can be top-coated with latex or oil based paints. 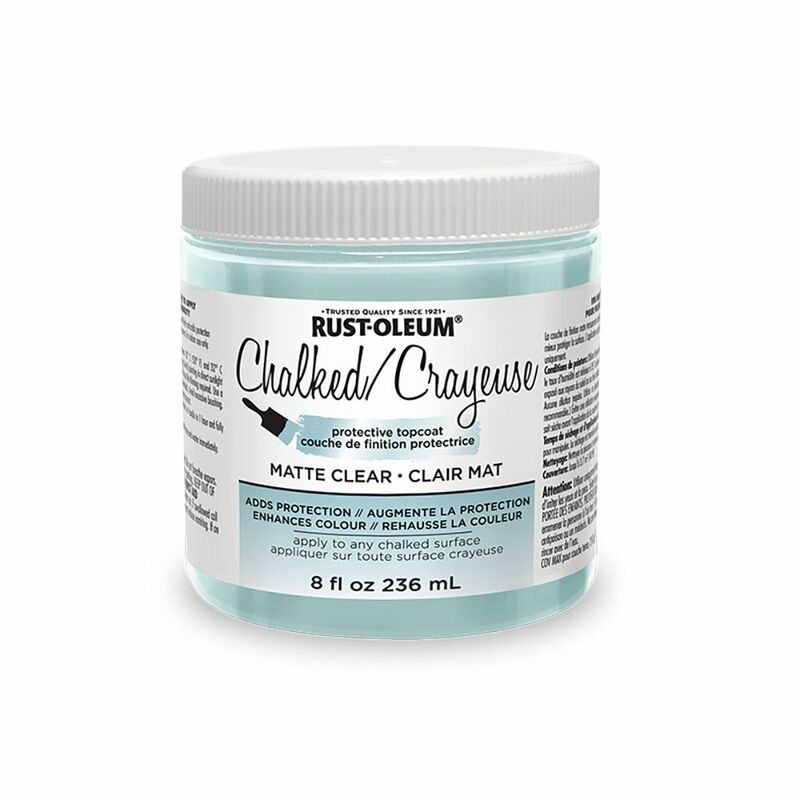 Rust-Oleum Milk Paint will give you a matte, chalked paint surface. Milk Paint creates a lime wash look, along with great coverage in a paint that sticks to a majority of surfaces without any priming or sanding. It can be thinned with more water for use as a wash coat or dye stain. It's great for decorative looks on repurposed furniture or walls and ceilings, including rustic and crackle finishes.